This term the Year 13 class went on Camp. The purpose of the camp is to experience God’s wondrous creation, build resilience by facing personal challenges, and grow relationally with one another. Over the course of the camp, students were challenged to complete the Tongariro Crossing, one of New Zealand’s Great Walks. Surviving the 19km hike over a mountain is a great achievement, and all the students who completed it are to be commended. 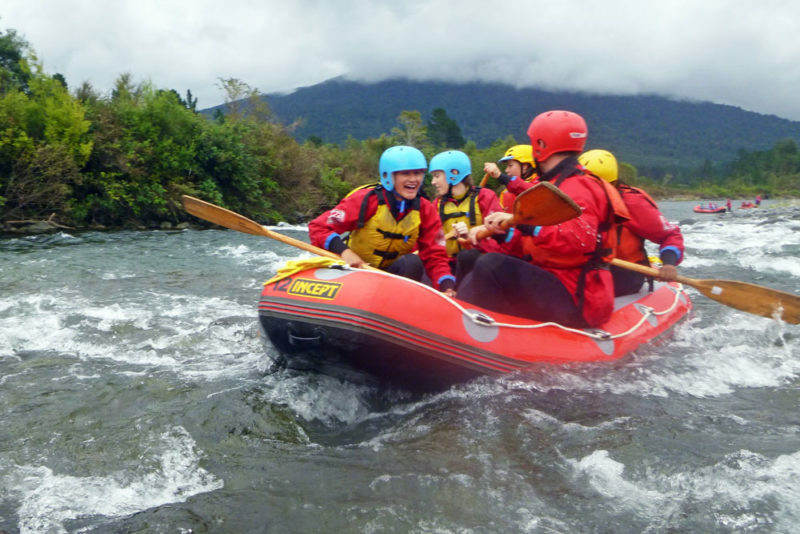 Other activities on camp included: team and resilience building activities at Blue Mountain Adventure Centre; Whitewater rafting on the Tongariro river (a stunning 6 degrees in temperature); a well-deserved soak at De Bretts Natural Hot pools; and mini-golf at the National Park themed course in Turangi. Students worked well together to prepare meals and complete activities; this is one of the best groups we have ever taken on camp! Outstanding attitudes! We are already planning ahead for Camp 2019 – something for this year’s Year 12s to begin looking forward to.